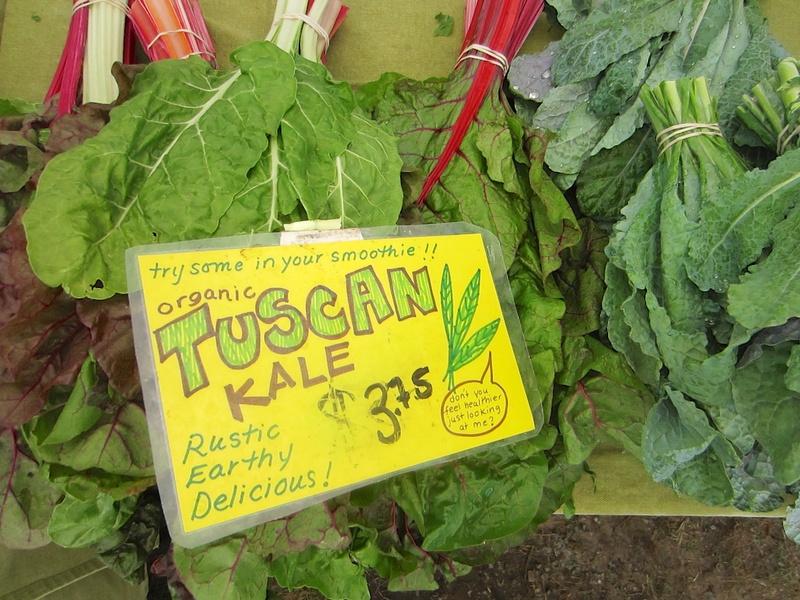 Buying fresh, local produce from the farmers markets creates a cycle of seasonal eating, enjoying the best of what the land has to offer from week to week. A seasonal diet can be a great way to enjoy delicious, varied, nutrient-rich foods once you have some trusted recipes to choose from. Each month, we’ll share some of our favorites, and we’d love it if you would do the same! Post your favorite June recipe in the comment section below, and you’ll be in the running to win a seasonal produce basket from participating GrowRVA farms. We will announce the winner via Facebook and Twitter on June 19, 2013. Braised Greens with Bacon and Apple | E.A.T. Radish Toasts: For a quick snack, thinly slice radishes and enjoy them with buttered toast and a pinch of salt. 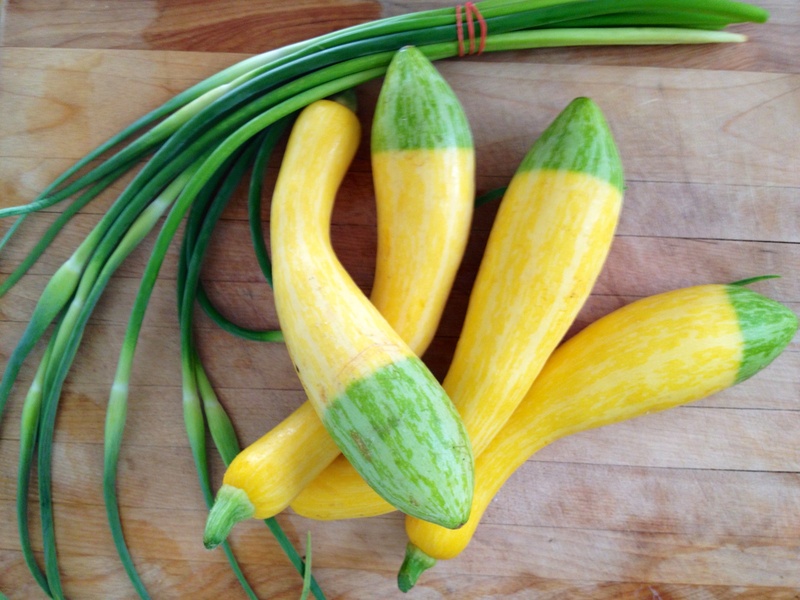 Sautéd Squash and Garlic Scapes: For a quick squash preparation, quarter baby crook neck squash and toss with a few splashes of red wine vinegar, olive oil, salt and pepper. Saute in olive oil to lightly brown the squash. Add chopped garlic scapes, and continue to cook for a couple of minutes to take the seasonality and flavor to new, unprecedented levels. Amy’s Garden has a lovely Recipe selection as well. Highlights include the Pan Roasted Turnips and Steamed Asian Greens. Share your favorite June recipe with us, and you could win a basket of market-fresh produce worth $50! Recipes do not have to be original, but please reference the original source if possible! The winner must claim his or her prize within 7 days of being announced, or a new winner will be determined. Winner must retrieve his or her prize from one of the participating GrowRVA markets at the scheduled time. CONGRATULATIONS Courtney, you’re our WINNER! Send a direct message to the GrowRVA Facebook page for details on how to claim your market basket! And thanks for the recipes! Hardboil some pastured eggs. Peel, chop, and mix them with scallions, homemade mayo (again with the pastured eggs! ), some whole grain mustard, salt, pepper, garlic powder : killer egg salad for sandwiches or dipping! Thinly slice a head of savoy cabbage (6 – 8 cups) and add 1/4 cup of shredded carrots and 1/4 cup of thinly sliced scallions. Mix in 3/4 cup Marie’s or T. Marzetti’s chilled slaw dressing. Add more dressing and ground black pepper to taste. Chill at least 30 minutes before serving. 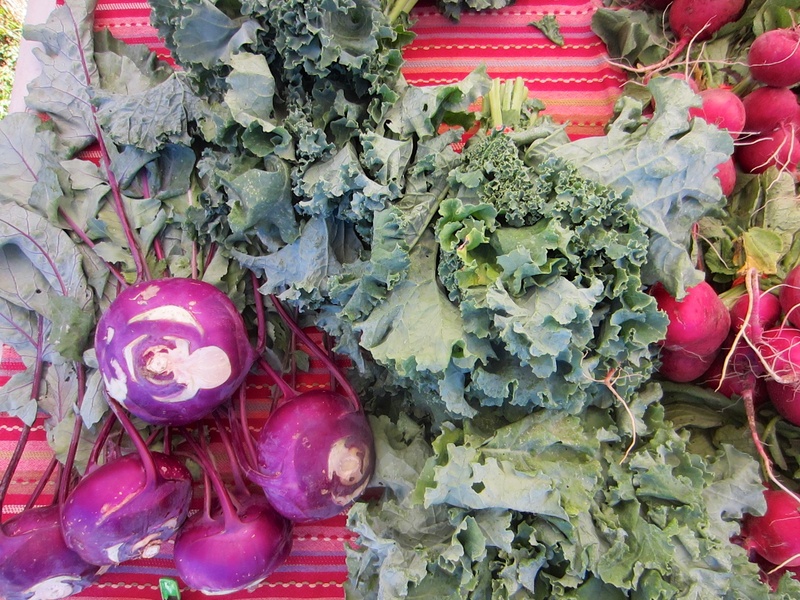 A head of savoy cabbage and scallions were in our Tomten Farm share last Saturday. We had slaw with dinner Saturday night! This is a favorite. Never thought of adding walnuts! Nice touch.